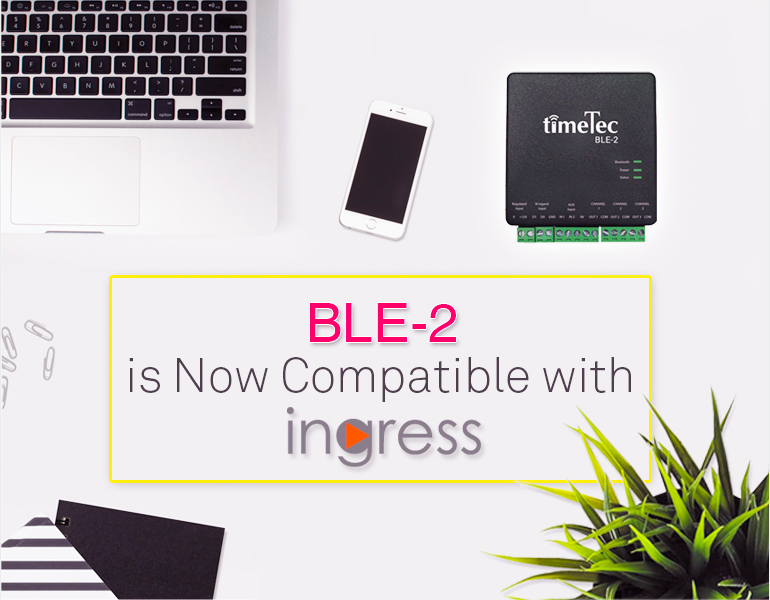 By default, BLE-2 data can be viewed and managed via i-TimeTec App. 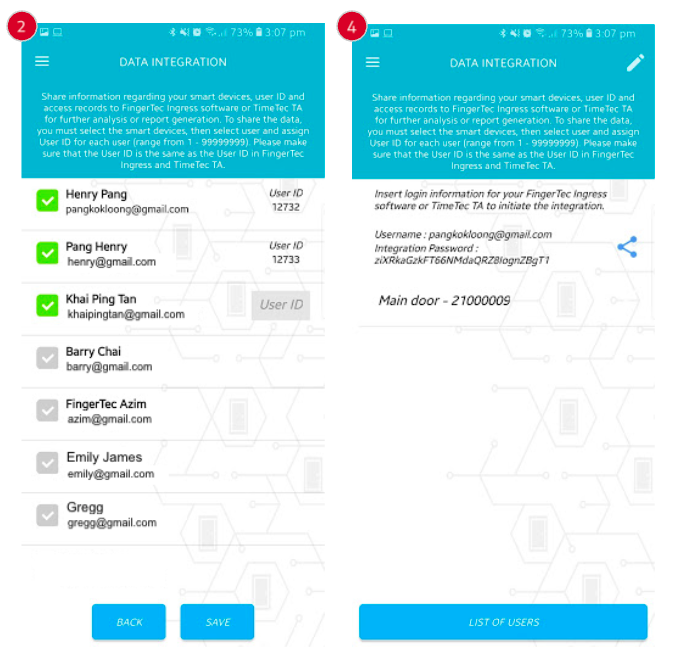 Now, you can also view the data in Ingress Software by connecting your i-TimeTec account to Ingress. 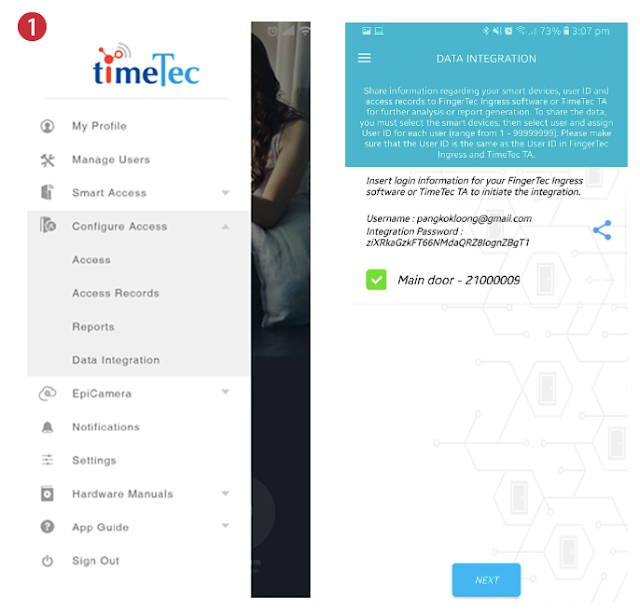 To initiate the integration, first you’ll need to make sure that you have the latest version of i-TimeTec App: v.1.9.8 (82) and Ingress Software: v3.1.7.6 or above. Click here to download the latest version of Ingress Software. 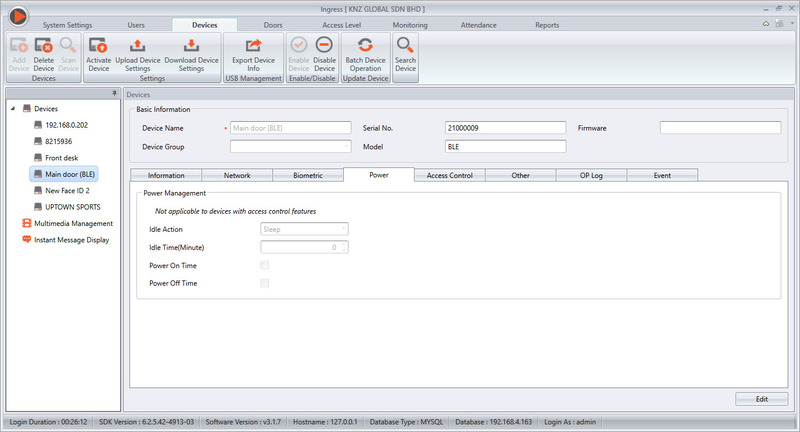 To start the integration, the owner/admin must first configure the Data Integration under Smart Access module. 1. Tap Edit button (top right corner) and select the device that you want to sync with FingerTec Ingress. 2. 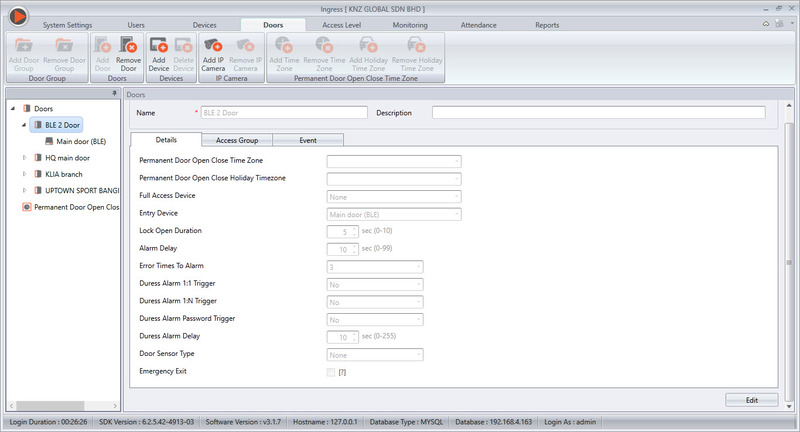 Next, select the users that you want to sync into FingerTec Ingress and assign a User ID to the selected users. Please make sure that the User ID entered, is the same as the User ID used in Ingress Software. 3. Tap Save to save the changes. 4. Tap the SHARE icon to send the login username and integration password to FingerTec Ingress Admin (by email or message). This information is required to connect Ingress Software with your i-TimeTec account later. 1. 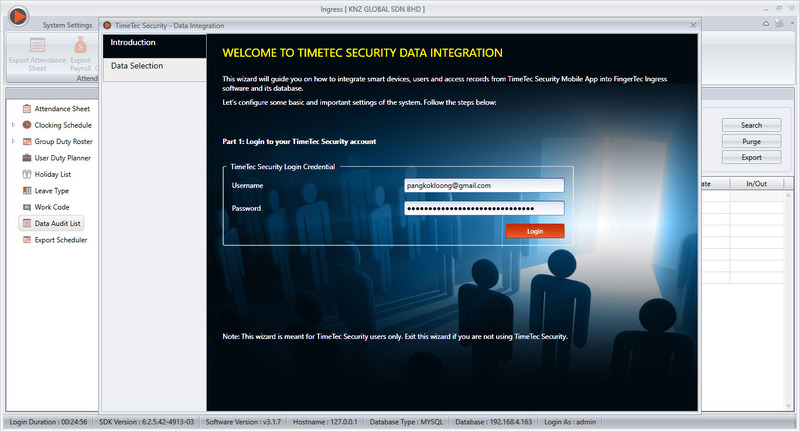 Select Migration Wizard > Import > i-TimeTec. 2. Insert the login username and integration password to verify the integration. 3. 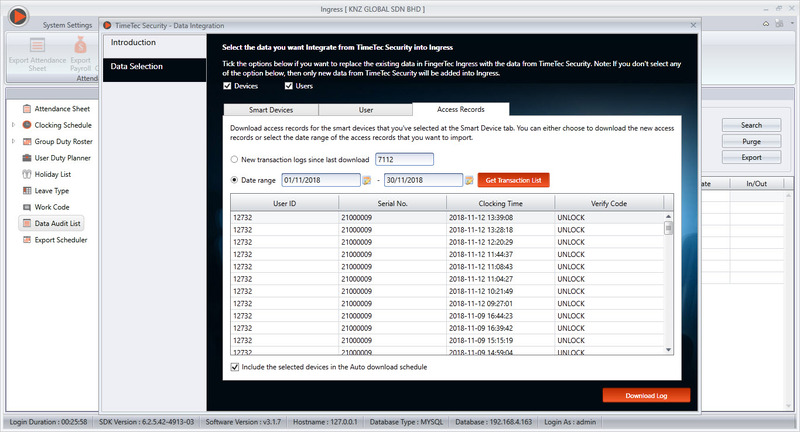 Once connected, select the Device, Users and Records for download into Ingress Software. 5. View the BLE-2 devices at Devices or Doors and likewise, all downloaded access records can be viewed at Attendance > Data Audit List.